Zheng Wei (杨子姗 Yang Zishan), 18, arrives at University to study civil engineering for four years. In the dormitory she finds herself sharing a room with a pretty girl Ruan Guan (江疏影 Maggie Jiang), Li Weijuan (张瑶 Zhang Yao), a nosy know-all from a small town; and tomboy Zhu Xiaobei (刘雅瑟 Cya Liu). Zheng Wei only enrolled at the university to be with her childhood sweetheart Li Jing (韩庚 Han Geng); only to know that he had gone to the US without telling her. Her heart break helped her build a bond with her room-mates. Years later, Zheng Wei became an assistant manager at China State Construction Engineering, and her other former classmates have all moved on in their lives. As the group gets together for a reunion, Zheng Wei’s past relationships (both her childhood sweetheart and her first boyfriend) come back to haunt her. This movie reminds me of the movie “You Are the Apple of My Eye 那些年，我們一起追的女孩”. Nope, they are not similar in plot, but in the setting. Both are about school days, staying in hostel, growing up, lost time and youth. In fact, if you take a close look, there are certain angles where Zheng Wei (杨子姗 Yang Zishan) resembles Michelle Chen 陳妍希. So if you are a fan of the “Apple of My Eye” movie, I am sure you will love this movie too. Although, I prefer So Young. Perhaps it is because they didn’t end with the characters marrying to someone else. I like how there were many surprises in the movie, despite it being a romantic comedy. The little “magical effects” where stories like Princess and the Pea, Cinderella, the Little Matchgirl were added in, making the 80s setting a little dreamier. You will hear a lot of laughter during the movie, not because it is comedic, but how everyone can actually relate to the humour in the film. I am pretty impressed with the character Zheng Wei. Unlike the usual shy female lead who gets pursued by many guys, she is the one who actively pursue Chen Xiao Zheng despite being rejected several times. I really admire her bravery and confidence, something I feel I might never have. I was looking forward to Han Geng’s performance in the film, but disappointed that his role was not that prominent in the movie. 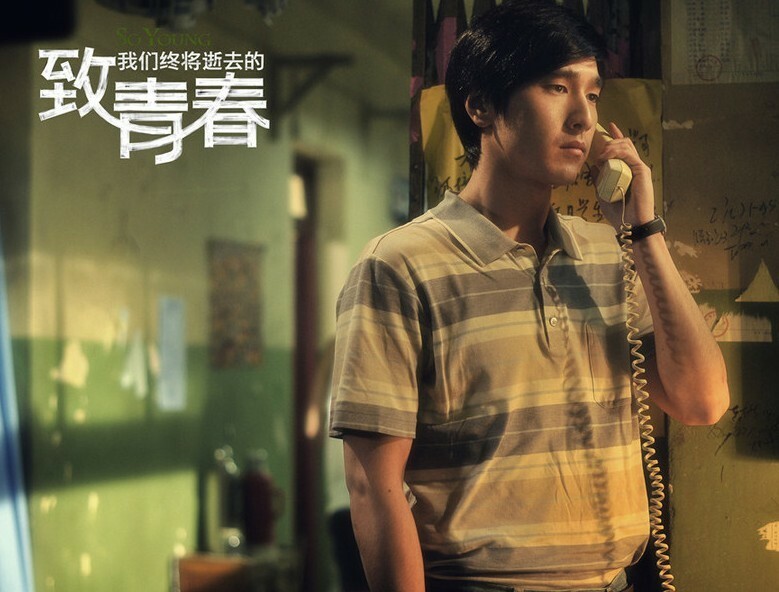 On the other hand, for Mark Chao as Chen Xiao Zheng was pretty good. Yes, he might not be a eye-catching as Kai Ko 柯震东, but he was able to make it up with his acting, little nerdy actions. What touches me the most, was the memories and love in the story. There were so many “what-ifs” in the movie. The decisions made in life, where Chen Xiao Zheng said he regret exchanging his career for love, and he hope to love Zheng Wei again. Can lost love come back? It made me think, and ponder… the film reaffirm what I believe, living life without regrets. It made me think about my past decisions, where I gave my betraying ex another chance, just like what the character Ruan Guan did. I didn’t regret, but I am glad, I left. She looked back, just like how I feared I might in the past. Another character Zhu XiaoBei, she was kicked out of school but became successful under a different name. When her old schoolmates recognised her, she refused to acknowledged them. Why so? And what happens after Chen Xiao Zheng told Zheng Wei that he was planning to proposed to her all along? Half of the audience stayed till the end of credits, hoping there might be some answers. But there wasn’t any. Perhaps the answers might be in the book itself. The film was also based in part by Zhao’s own personal college experience in the ’90s. Mark Chao was slapped by Vicki Zhao so that he could get the emotions she wanted. There is really a band called Suede and Vicki Zhao bought the rights to Suede’s song for the film. 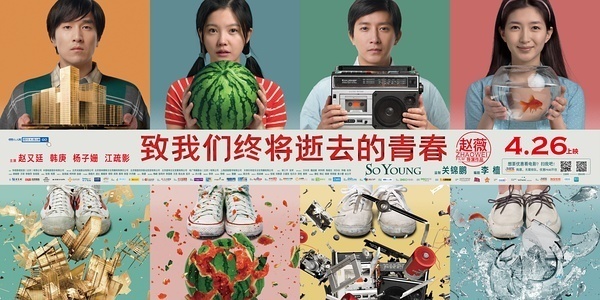 Click here to check out So Young 致我们终将逝去的青春 official weibo site. 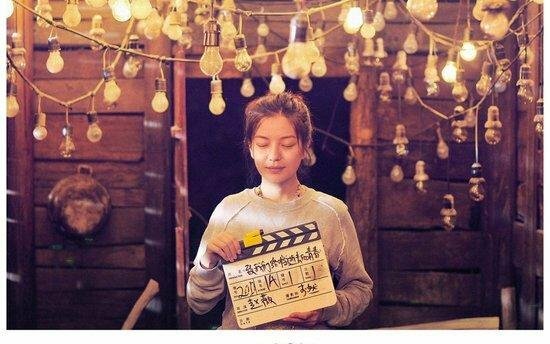 So Young 致我们终将逝去的青春 will be in cinemas from 6th June 2013 onwards. This is a movie worth a second watch. Tickets from MyPaper and Festive Films. No monetary compensation was received for the movie review. OMG !! My Han Geng !!!!!!!!! Hehe, Thank you tiffany!